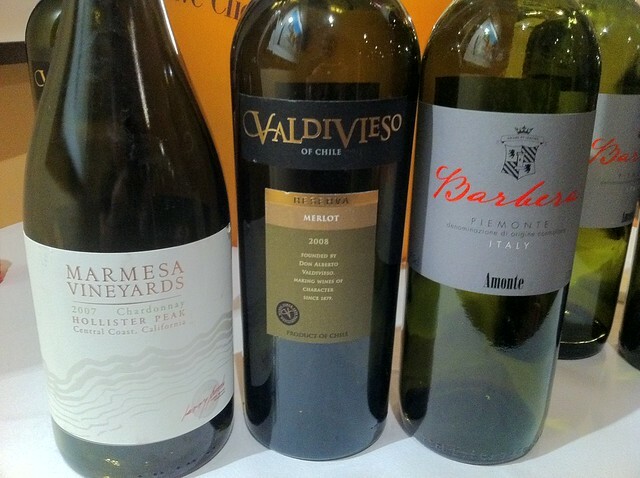 This week I was kindly invited along to the first of hopefully many of Malmaison’s latest wine tasting events. The format of these sessions is very informal and designed to not be intimidating to wine beginners, which was welcome. 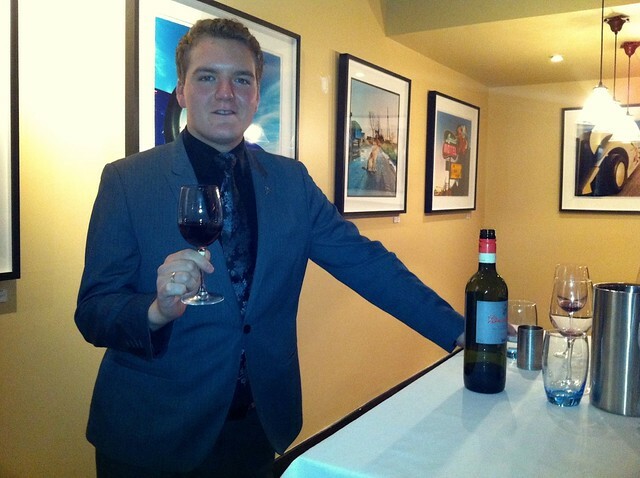 Danny Diver, sommelier at Malmaison is a young but in-the-know kinda guy, and it was good to not be patronised by a “wine snob”, as can sometimes be the case with winos! After canapés, we started with Marmesa Chardonnay, Holister Peak, Edna Valley, California, 2007. With each wine, Danny took us on the different “stages” of scoping out a wine – from it’s look in and on the glass, to picking up the different notes on the nose, through to the best bit – tasting! He describes this gorgeous chardonnay as “fresh, aromatically complex, fully ripe and opulent”. While myself and many the other guests can only really get citrus fruits – we are of course here to learn more! It comes along with an absolutely gorgeous salmon canapé – a perfect match for this wine – the buttery flavours are amazing together. Next up we have Amonte Barbera, Piemonte, Italy, 2009 – “deliciously fruity with notes of blueberries, cherries and raspberries”. A really fruity and drinkable wine – again, one I’d look out for on any menu. Finally, we have Valdivieso Reserve Merlot, Rapel Valley, Chile 2008. The night ended with an informal Q&A session – Danny offering some knowledgeable and informative advice on where’s best to buy and choose wine from as well as offering a personal insight into Malmaison’s wine selection process. It sounds like a fun job! We’re hopefully looking to attend the next event – you should come along too – if not to learn a bit about how to spot a better wine, then just to try some really lovely wines! !